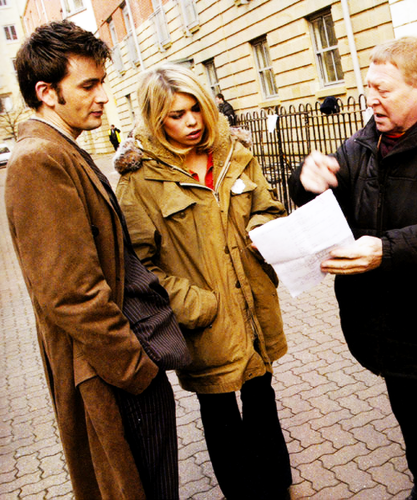 David and Billie: BTS. . Wallpaper and background images in the The Doctor and Rose club tagged: photo doctor who rose tyler the doctor doctor x rose series 2. 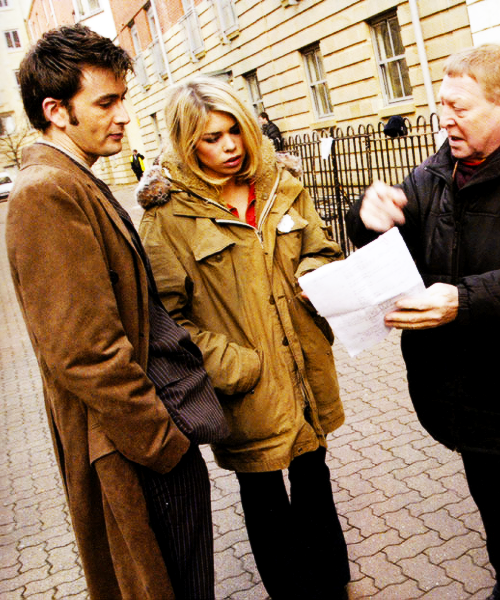 This The Doctor and Rose photo might contain business suit, street, city scene, urban setting, well dressed person, suit, pants suit, and pantsuit.